CAPE TOWN, South Africa, Dec 12 2013 (IPS) - Paul Anley, chief executive officer of Pharma Dynamics, one of South Africa’s leading generic drug companies, wants to sell a cheaper version of popular birth control pill Yasmin. But he legally cannot because German multinational Bayer has patent protection on the drug in South Africa, even though its initial patent expired in 2010. Generic versions of the contraceptive are available in the United States and Europe, where Bayer’s patent has been revoked. Anley says South Africa’s patent system makes it easy for multinational pharmaceutical companies to make minor changes to their products and get multiple patents, each spanning 20 years, and keep generics off the market. Pharma Dynamics lost a court case against Bayer over the validity of Bayer’s patent, which relates to the rate at which the drug’s active ingredient dissolves, in March 2013. It is barred from selling its generic and has filed an appeal against the decision. “Bayer will continue to vigorously defend its patents,” Bayer’s medical director, Dr. Gené van den Ende, told IPS in an emailed response. Van den Ende did not comment on allegations of evergreening. Since 2002, Bayer has filed for 11 different patents in South Africa for one of the active ingredients in Yasmin. In September, South Africa’s Department of Trade and Industry released a draft national policy on intellectual property that proposes changing South Africa’s patent system. Anley and patent reform advocates like HIV advocacy group the Treatment Action Campaign and Médecins Sans Frontières hope the proposals will curb the number of patents granted and increase access to cheaper medicines. In 2008, South Africa granted 2,442 pharmaceutical patents, according to research by Carlos Correa at the University of Buenos Aires’ South Centre. Brazil granted just 278 patents between 2003 and 2008. Supporters of patent reform point to the price difference between originator drugs in South Africa and generics available in countries like India – which has been strict in denying patents for formulations of new medicines – as a consequence of South Africa’s patent laws. 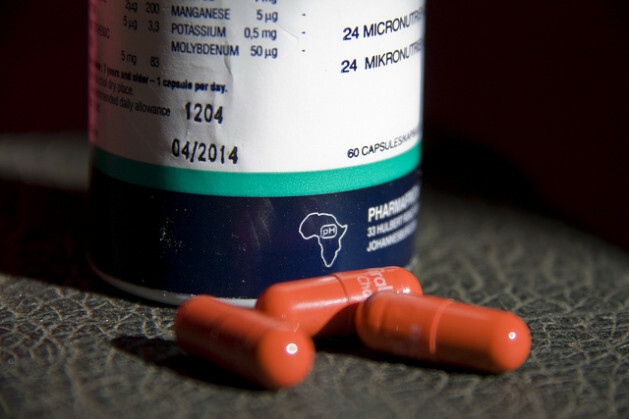 The Treatment Action Campaign found that generic versions of popular cancer drugs are available in India for between four percent and 44 percent of the cost of originator versions in South Africa, based on a comparison of 2012 prices. India has made also use of compulsory licencing. In cases where government feels the price of a drug is too high, it can grant licenses that allow generics manufacturers to produce versions of drugs under patent protection without consent of the patent owner. The World Trade Organisation’s Trade-Related Aspects of Intellectual Property Rights Agreement allows for compulsory licencing. As a signatory to the WTO agreement, South Africa can grant compulsory licences but has not done so in the past. The draft national policy recommends introducing the use of compulsory licenses. But whether or not these are granted in the future depends on the interpretation of the courts, patent attorney Madelein Kleyn, who is the intellectual property manager for Oro Agri and a research fellow at Stellenbosch University’s Anton Mostert Chair of Intellectual Property Law, told IPS. Government’s draft intellectual property policy recommends introducing a search and examination process to the South African patent office that involves having experts assess the novelty or original merit of an invention. Currently, those applying for patents in South Africa need to fill out the application documents correctly and pay the required fees. If a company or individual wishes to challenge the validity of a patent after it’s granted, the challenge must be done through the courts. Intellectual property lawyers note that government does not have the staff required to perform search and examination procedures. Outsourcing this work to international or regional offices, as suggested in the draft policy, would make sense, she said. Since patents can be revoked through the courts, and intellectual property professionals advise patent applicants to amend their claims based on foreign patent cases, the system in South Africa allows for strong and tested patents despite the lack of a search and examination process, Kleyn explained. She recommended focusing on educating judges who deal with patent cases to make the legal system work more effectively instead. This shift would also be cheaper. If introduced, the search and examination procedure would take a long time to alter the patent landscape. Anley, of Pharma Dynamics, agreed that the proposed changes would take time to take effect.